Nov 2012 – update to blog post below. The centre has changed its locations – all details can be found on the website Dorchester Curiosity Centre. 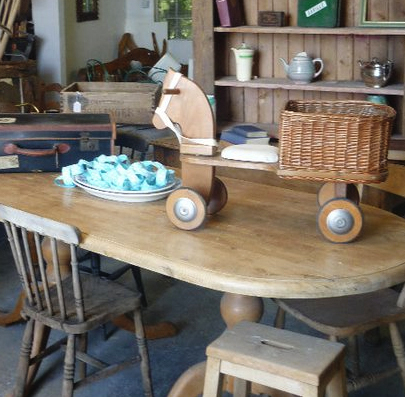 We’ve been listening to lots of excited local chatter about The Dorchester Curiosity Centre and what a great find it is for Vintage enthusiasts. We called in yesterday and it is a fabulous find! 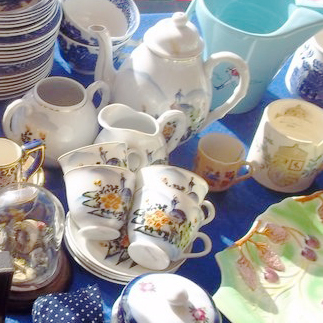 Full of curios, retro and vintage gems from local traders working under one roof – the Curiosity Centre offers a great showcase for some of Dorset’s local online vintage traders who can now give people a first hand view of their lovely goodies! 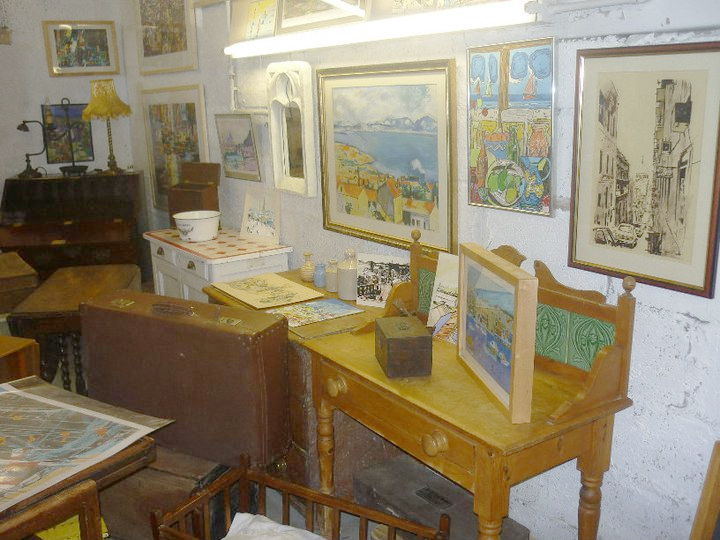 Centre owners Dean and Abbey are lifelong antiques and curio collectors following on from Dean’s father’s reputation as an established artist, fine arts and antique collector. We ‘re looking forward to seeing more from the centre with such a great pedigree! The Curiosity Centre holds regular vintage markets where traders can spread out into the outside space and allowing additional stallholders and even more treasures to explore. The markets are the last Saturday of the month and immediately prior to Dukes general auctions to coincide with the saleroom’s viewing days at the Grove. Vintage Dorset will be helping Abbey and Dean set the scene this Saturday 25th June with a festoon of vintage bunting and you can expect to see more posts and pictures from us encouraging people to get along here for a vintage day out! Where are you going on May Day? 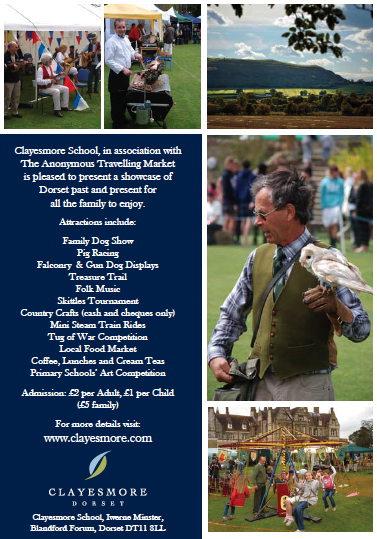 We’re jolly well off to Dorset Day at Clayesmore School, Iwerne Minster, Nr Blandford. When someone mentioned Maypole dancing, dog show and pig racing we realised we couldn’t resist! The day is set to be a really great day out – last year 2500 people came along! The idea of the day is to celebrate the county of Dorset, its diversity, culture and heritage. 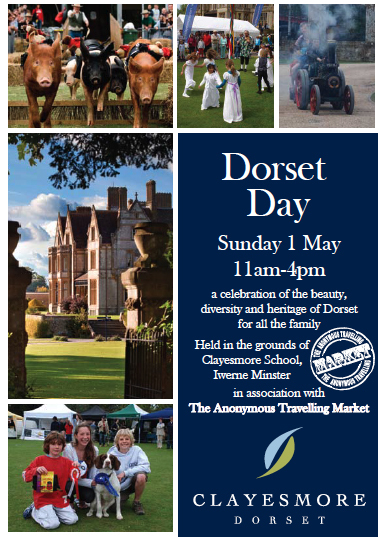 Dorset Day is open to members of the public as well as the school community.